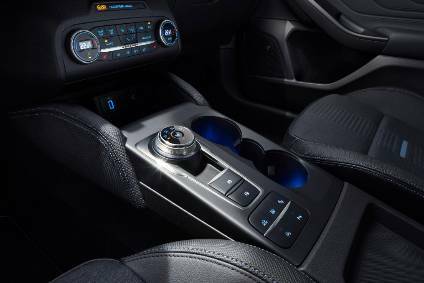 The new purchasing office of the Ford Motor Company of Canada has helped to drive more than $1.5 billion in new business to Canadian suppliers, bringing Ford's total buy of Canadian automotive parts and supplies to more than $6.5 billion. Bobbie Gaunt, president and CEO of Ford Motor Company of Canada, Limited, made the announcement during her keynote address at the National Quality Institute's Canadian Awards for Excellence in Toronto today(26/10/00). Gaunt said the newly sourced parts will go into Ford's global production of cars, trucks, engines, transmissions and other components over the next several years. "Buying Canadian is smart business for Ford of Canada," Gaunt said. "Canadian suppliers today are very competitive and offer top quality products, advanced technology and highly-skilled workforces." The additional business has the potential to create more than 6,000 jobs in the Canadian auto parts industry, said Dennis DesRosiers, president of DesRosiers Automotive Consultants. "These are high value-added jobs that will produce a positive ripple effect throughout the Canadian economy, generating additional indirect employment." In just five months, the new Ford of Canada purchasing organization has helped to increase buying from Canadian suppliers by 30 per cent. With offices in Windsor, Ont. and at the company's Oakville, Ont. headquarters, its mandate is to serve as a link to Canadian suppliers to ensure Ford gains access to the full range of high-quality Canadian-made parts, components and supplies. "Ford of Canada is now actively reaching out to Canadian suppliers to help them connect with global opportunities," said Gerry Fedchun, president of the Toronto-based Automotive Parts Manufacturers Association (APMA). "We know Canadian automotive suppliers can compete for the business of a leading company like Ford, all we need is the opportunity." Ford of Canada now works with more than 90 Canadian suppliers across the country and that number is expected to grow. "We are pursuing new opportunities to build stronger relationships with Canadian suppliers. Doing business in Canada delivers access to a well-developed transportation infrastructure, affordable energy resources and a strong material supply base," said Dennis Rowland, purchasing director, Ford Motor Company of Canada, Limited. Rowland and his team have personally visited more than 50 Canadian suppliers since May to better understand their capabilities and to assess the potential for future sourcing contracts. 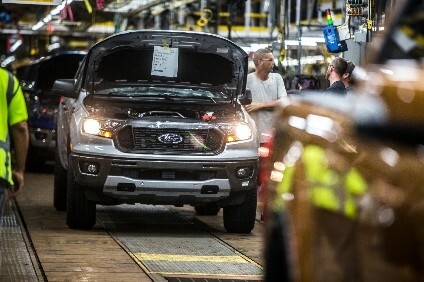 Ford of Canada is Canada's longest-established automobile company with three vehicle assembly plants, five manufacturing plants and 565 dealerships located in all provinces. Ford's Canadian operations employ nearly 16,000 people and an additional 22,400 are employed in dealerships. Ford of Canada's manufacturing facilities produced nearly 700,000 vehicles and 1.5 million engines last year.